The year 2018 witnessed frequent top-level exchange between China and Germany including Premier Li Keqiang’s visit to Germany in July and Chancellor Angela Merkel’s visit in May and President Frank-Walter Steinmeier’s visit in December. Since 1970s, especially in last two decades, the two countries have developed close relations in economic and trade. In 2017 alone, the bilateral trade totaled $180.6 billion, 2.6 times of that of 2005. Today, China is Germany's third largest export market and the second largest source of imports, while Germany is China's largest trading partner in the European Union. The two-way investment between the two countries in 2016 reached $5.09 billion, compared to $1.57 billion in 2005. China and Germany have now formed a three-level framework for cooperation and exchanges, consisting of the central governments, local authorities and NGOs and enterprises. The two central governments tuned various policies and strategies and cut barriers to iron out kinks in economic and trade cooperation. Local governments and NGOs act as major players in implementation and supportive mechanisms. Cooperation among companies has greatly improved their overall competitiveness, which in turn bolsters the economic and trade ties between the two countries. Although China-Germany economic and trade cooperation has achieved remarkable results, there is still huge room for further development. In 2017, China and Germany ranked second and fourth respectively in terms of GDP. The combined GDP stood at $15.92 trillion, accounting for almost 20 percent of the world’s total. At present, however, the cooperation between China and Germany is highly concentrated in heavy industry, indicating remarkable potential for future growth and economic cooperation. In fact, the two trade partners are complementary in many areas. China has a vast domestic market and abundant natural and economic resources, which will generate huge development potential and strong demands. However, domestic production capacity couldn’t meet the growing demands. Germany, as an advanced industrial country, has rich technical accumulation, particularly in terms of automobile and machinery manufacturing. Yet, with limited population and relatively small market scale, Germany is challenged with insufficient domestic demand. In this regard, cooperation will help both countries solve their demand-supply imbalance. Both could coordinate their strategies in industries and manufacturing, and what’s more, conduct even more extensive cooperation within the framework of Belt and Road Initiative. From the global perspective, the rising anti-globalization trend pulled China and Germany closer than ever before. The “America First” policy touted by the Trump administration dealt a heavy blow to major economies, while Germany bears the brunt of America’s protectionism against the EU. Many German companies were picked by the US government and had to seek other markets. On the other hand, the trade conflicts between China and the US forced Chinese companies to turn to other countries like Germany for cooperation. In 2019 the two nations are expect to expand their cooperation to the light industry, the internet and creative industries. For the traditional cooperative areas like machinery and automobiles, more innovative mechanisms and more specific agendas will be adopted in a bid to a higher efficiency. The cooperation mode is likely to have adjustment. Previously, in most joint ventures, such as Beijing Benz and BMW Brilliance, China contributed capital and Germany technologies. However, the dynamics have been shifting. In certain areas that China performed well, it will also be an exporter of technology. More Chinese companies made a splash in German market, and the trend will become more discernible in future. So far most China-Germany cooperation are carried out either in China or in Germany, seldom in a third country. As the Belt and Road Initiative are promoted, the cooperation between the two nations is able to transcend their own borders, venturing into other countries, especially those participating in the BRI. It is expected to further unlock the potential in the bilateral cooperation. 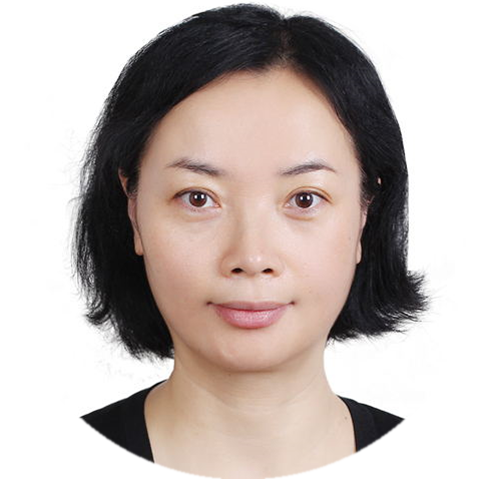 Zhou Hua is a researcher of German Studies Center and associate professor of School of Economics & Management, Tongji University. The author contributed this article to China Watch exclusively. The views expressed do not necessarily reflect those of China Watch.